Making your plans to study in Russia? Thinking of what important stuff and advice you need for going there? Well preparation is the most important phase for visiting a place. We have arranged some of the guidance tips for your trip to study in Russia. Always keep them in your mind and they would surely make your education in Russia, a wonderful learning trip! The student visa application form is needed to apply for the student visa in Russia. 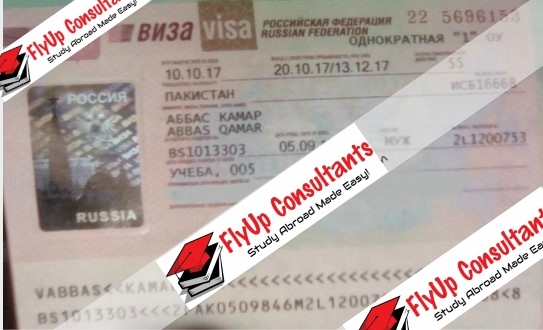 This needs your valid passport, passport size picture, formal invitation letter from Russian Ministry of Foreign Affairs, Confirmation of payment to Russian university, Student contract with Russian university, your educational certificates and Medical certificate for HIV test. 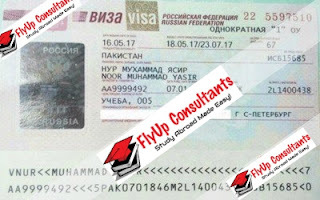 You should start collecting these documents for about three months before the starting of your study in Russia. Price hikes are very much famous in Russia. Every year, the prices for commodities increase from 10% to 20%. So you should properly plan for your financials for the complete time of study in Russia. The first step is to find out the cost of student life in Russia and then plan your expense according to your priority. Don't expect to live in the same expense in Russia that you are spending in your home country. Well, they are the most important belongings of yours in Russia. Your passport, International Student Identification Card and Russian university student cards are the official documents to save you from the routine checking and investigations of Russian police while you study in Russia. Learning basic Russian language is very important there. As Russians are not much familiar with English language. Lot of universities also offers the basic Russian courses along with their curriculum in the first semester. Centers for international students also offer many courses for Russian language. Russians are unique in their living style. Russian Culture, Russian Food, Russian Society, everything has its own charm and very much different from a peculiar American and European traditions. Staying in Russia for a long time, needs you to know very well about them and caring about their cultural norms! 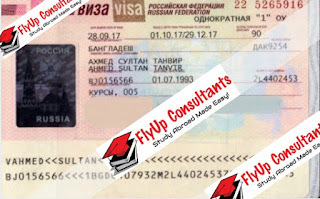 Get more details here on study in Russia and your student visa assistance for Russia. Today , Study in Russia is a dream of every student around world. With top universities, cheap education and perfect career path, Russia is now the 8th most favorite destination for studying abroad. When you apply for your admissions in Russia, you need to prepare all of your documents required for Russian university and Russian Embassy. Russian university evaluates your eligibility to study in Russia. Depending upon your interests and university criteria, Russian universities present you the admission offer to study in Russia. And after your admission, Russian embassy in your country processes your Russian student visa application. 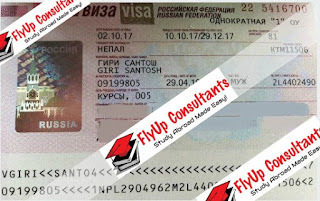 WHAT IS A RUSSIAN STUDENT VISA INVITATION? 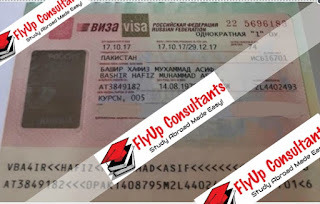 Russian student visa invitation letter is basically an official invitation document. It explains your purpose of visit to Russia as a foreign student. The letter is prepared in Russia. And Ministry of Foreign Affairs of Russia (MFA), issues this student visa invitation letter, to all the foreign students coming to their country. Student visa invitation letter has your personal details, purpose of your visit and your duration to stay in Russia (initially for 90 days) . 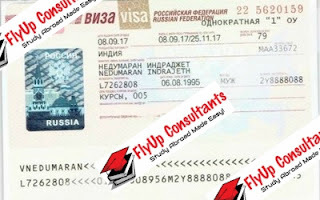 WHY YOU NEED RUSSIAN STUDENT VISA INVITATION? 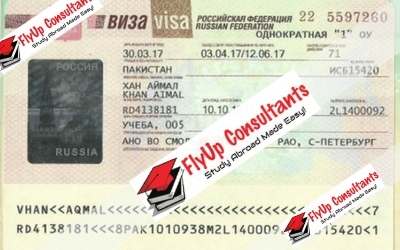 After your admission offer, the next step is to apply for your Russian student visa. 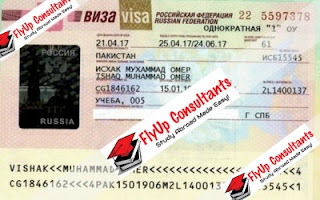 Now student visa invitation letter acts as the most important requirement for your visa application in Russian embassy. This letter tells the embassy, that you are invited by a Russian university to study in Russia. Embassy verify your details and then process your visa application. 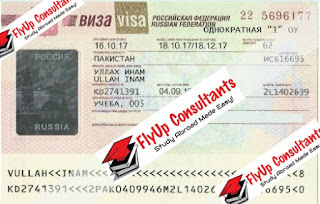 HOW TO GET THE RUSSIAN STUDENT VISA INVITATION? 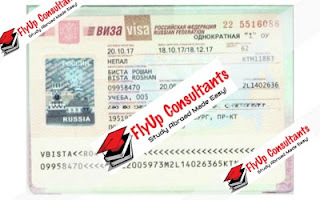 Your Russian university processes for your student visa invitation letter. The university send your details to the office of Ministry of Foreign Affairs of Russia. They usually take 30 to 40 days to prepare your invitation letter. The most of foreign students enter Russia with passports and student visas. There is a visa-free regime between Russia and some countries. As a rule visa-free period lasts from 1 to 3 months and don’t suit for longer stay or permanent living. Citizens of Armenia, Belarus, Kazakhstan, Kyrgyzstan can enter Russia with internal (national) passports (IDs). Students from other countries, including CIS countries, should have valid international passports. 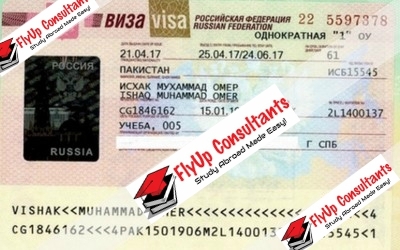 Students from Belarus, Kazakhstan, Kyrgyzstan, Moldova, Tadzhikistan, Uzbekistan, South Ossetia can study in Russia without student visas. You should apply for a student visa to embassy or consulate of Russia in your country, or to visa service center. For those who study on a contract basis the university will issue the invitation. If you apply via Russia.Study, we will check that invitation is issued on time and we will e-mail you a copy. For those who study free of charge with a state scholarship the invitations are issued by The Ministry of Education and Science of the Russian Federation. You can check the status your invitation at russia-edu.ru. International passport (original) and copy of title (main page). Certificate of the HIV-negative status of the applicant. For under 18 – Parental Consent to Travel for Children under 18, certified by notary. 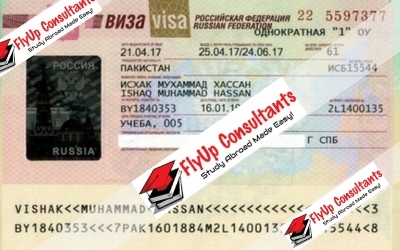 In Russian embassy (consulate) or visa application center in your country you can clarify which documents exactly you need. 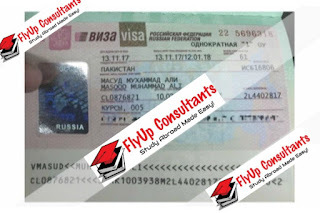 With full documentation package you can apply to embassy (consulate) of Russia in your country. After passing an interview you should pay for student visa. The student visa turnaround time is 2-3 weeks. For the first time educational visa is valid for 3 months. For extension you should apply to General Directorate of migration of RF Ministry of Internal Affairs. There you can apply for multi-entry visa for 1 year. During this period you can stay in Russia or leave and return. Upon the expire you should apply for extension again and thus till the end of your studying. For educational visa extension you should apply to university department for work with foreign students before 30-40 days before expiration. Contract for study (copy) or assignment for study by Ministry of Education and Science of the Russian Federation. Intercession from University in written and free format, indication the reason to extend visa. Receipt confirming the payment of State duty. Detachable section of the notification form (issued during migration registration). Admission form (original and copy). 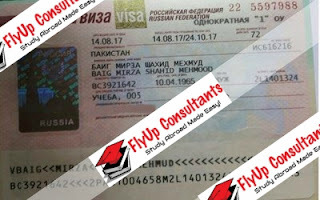 State duty for 1 year educational visa is 1 600 rubles (approximately $30). 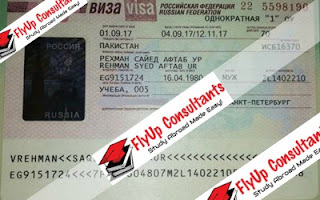 Pay attention that every time after visa extension you should pass migration registration once again. Apply to the university department for work with foreign students. 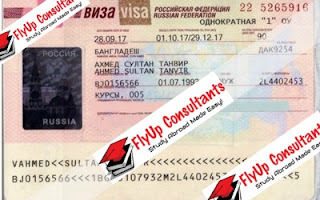 Upon arriving in Russia every foreign citizen should fill admission form and always have it in possession during his or her stay in Russia. In 2 days you should apply for primary migration registration with documentation package. The purpose of migration card is to verify that foreign citizen crossed the Russian border legally. 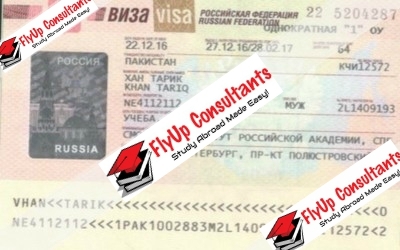 Without a migration card a foreign citizen cannot live, study nor legally work in Russia. You can get a free migration card form onboard your plane, in a train or in passport control zone at the airport or railway station. Admission form is valid during all the time of your staying in Russia. When leaving the country you should leave it at boarder control post. When returning to the country you should fill in a new migration card. Passport (or any document of identification). In the University you will get detachable section of the notification form. This is the document of migration registration. It allows you to stay in Russia during the period indicated. Primary – 3 month, further – 1 year. For extension of the period of migration registration you should apply in the University department working with foreign students before 15-20 days till expiration. In case of lost or damage of admission form you should in 3 days apply to General Directorate of migration of RF Ministry of Internal Affairs. You will receive a free copy upon presentation of passport, visa, student’s card, detachable section of the notification form. It’s important to apply to General Directorate of migration of RF Ministry of Internal Affairs in term of 3 days after lost.